Be more tolerant and understanding...and less critical! Be more tolerant and understanding…and less critical! I just don’t understand some people! We’ve just had the worst winter for 30 years. The City workers are out day and night…lots of overtime. The ice rain, very unusual for Northern Ontario, is layered with the snow and packed on the roads and the blades on the graders cannot scrape it up without scraping up the asphalt, further damaging the road surface. Just be more tolerant and understanding…and less critical, why don’t you? Let me pass you the box of kleenex, hon. I think they all wear Big boy pants..?! It is quite normal and healthy in life to want a bar to be raised. It is also every citizen`s right to voice their opinions when they are NOT satisfied. Damaged roads? Are you kidding me. 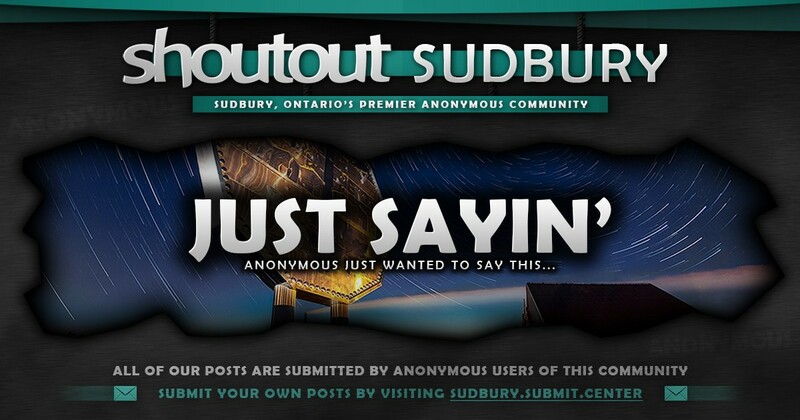 That is laughable, downright laughable in Sudbury. And everybody on this side of the planet knows it. Just saying.